What areas of the body are most often treated using liposuction? Can Liposuction be used to tighten up the skin on the neck? Can liposuction be used as a form of breast reduction surgery? How long does it take to see the results from my liposuction surgery? How much fat can be removed during a liposuction surgery? Can the fat be injected into other areas of the body after it is removed? Yes, liposuction is a minimally invasive surgical procedure. In other words, we use very tiny incisions to remove fat through a thin tube. These incisions are so small that we don’t even have to use stitches to close them after the procedure. AwakeLipo is an anesthesia option that allows patients to be awake and aware, but extremely relaxed and comfortable. We give our patients a light sedative to relax them, but then the doctor uses a local anesthetic to numb the targeted area of the body. When patients are awake and comfortable and able to move naturally, the doctor is able to see underlying muscular structures more clearly, which leads to better results. Depending on the amount of skin that is sagging in the neck region, your age, skin condition, medical history, and certain lifestyle factors, liposuction may be able to help you tighten up loose skin in the neck region. Liposuction has been used by many women to reduce the size of their breasts. Liposuction does not cause scarring and skin tissue in the breasts tends to tighten up nicely after the procedure. Absolutely, many patients combine liposuction with other procedures. 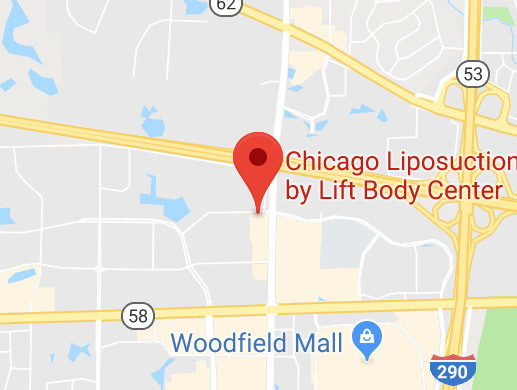 We specialize in liposculpture and procedures that either add volume or remove excess volume from the body to create the most pleasing physique possible for patients. Fat transfer (also known as fat grafting) is a procedure that can be used to enhance the volume of the breasts, buttocks, cheeks, or other parts of the body. This procedure is always performed in conjunction with liposuction. Patients vary in terms of how long it takes for them to recover from the procedure but most patients are able to return to work within 2 to 3 days. Within about 2 weeks, most patients are able to return to their normal, daily routine. Improvements in appearance continue day-by-day but, the final results from the procedure are usually visible within 3 months and 1 year after the procedure. The results from liposuction are immediately visible, but the amount of time that it takes for you to see your final results will depend on the what area of the body was treated, your age, your skin condition, and other factors. Small improvements in your appearance will be visible every day as you recover. Most patients see their final results within 3 months to 1 year after the procedure. No surgical procedure can produce permanent results because the human body ages. But the results of liposuction are long-lasting and, if patients follow a healthy lifestyle, the results from liposuction surgery can last a lifetime. It is possible to remove 6 to 8 pounds of fat during a liposuction surgery. Removing more than this amount of fat can cause serious medical issues, so it is usually avoided. Yes! Many of our patients choose to have a fat-transfer procedure to create volume in areas of the body that are lacking. Liposuction is performed first. During this procedure, fat is extracted from target areas of the body through a tube. The fat is suctioned into a container so that it can be prepared and purified before being injected back into the body. Fat transfer is the final phase of the procedure. During this phase, the fat is injected into the areas of the body that need more volume.